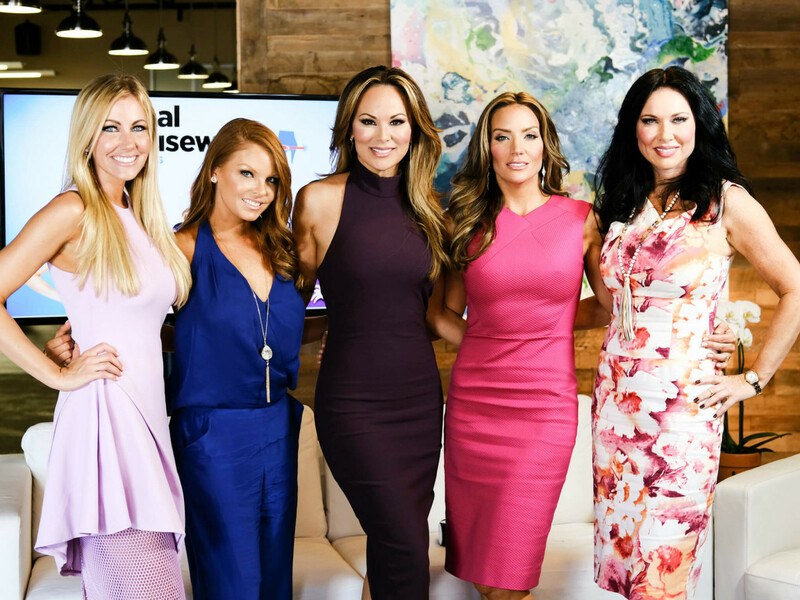 In advance of their April 11 premiere on Bravo, the Real Housewives of Dallas stopped by the CultureMap Dallas offices to sip pink champagne, show off their style, and dish about life in front of the cameras. 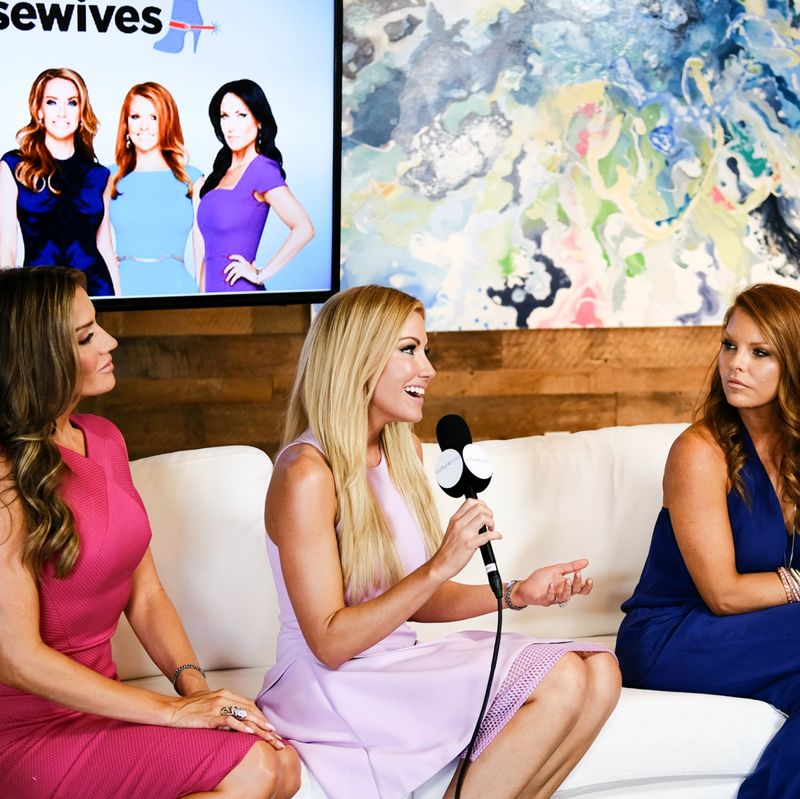 LeeAnne Locken, Tiffany Hendra, Brandi Redmond, Cary Deuber, and Stephanie Hollman are representing Big D on the cable franchise, and we got to know the ladies a bit better before the rest of TV land does. They arrived straight from a promotional event at Mi Cocina (too early for Mambo Taxis, they lamented), and immediately started taking selfies and chatting with the video crew (so you know there's more to see). Brandi and Stephanie have been close friends for years, and LeeAnne and Tiffany were both fixtures on the Dallas social scene long before the cameras started rolling. Does that make Cary feel like the odd woman out? Not at all. She's gotten close to the other four during the last year of filming and now counts them among her closest friends. Host Dawn Neufeld remarked on Brandi's quiet demeanor and questioned how the soft-spoken redhead handled the often loud and boisterous world of the Real Housewives. Everyone quickly jumped in to testify to Brandi's wild and crazy side — she was a Dallas Cowboys cheerleader, after all — even hinting that we'll see her "flipping on tables" during one episode. "She has lady balls the size of Texas," Tiffany added. "I'm like an onion," she mused. "The first layer will make you cry, the second a little less so, and as you go deeper, you'll find I'm sweeter than you would expect." The nurse works side-by-side with her plastic surgeon husband, and therefore spends a lot of her time in the operating room. Getting so dolled up on a regular basis took a little getting used to, but she was already familiar with one beauty ritual: "I do my own Botox!" she said. 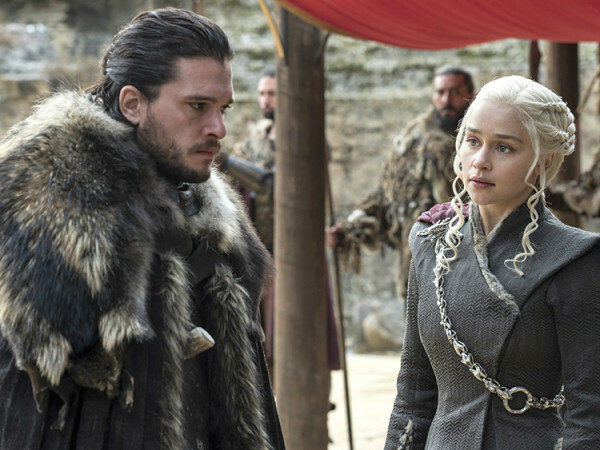 Dallas might also be a little more low-key than, say, Beverly Hills or New York City, but there will still be plenty of drama. "People will watch us, or they will hate-watch us, but they will watch us," Cary said.